granted to an Undead paladin long ago. that it provides only slight HP recovery. Generates approximately two HP every two seconds, upgrading does not affect the HP regeneration at all. The healing effect does effectively stack if a second Sanctus is equipped. This shield was designed by Yusuke Sugomori for the Shield Design contest held by From Software prior to the release of the game. The names of all four winning designers appear in the game credits. 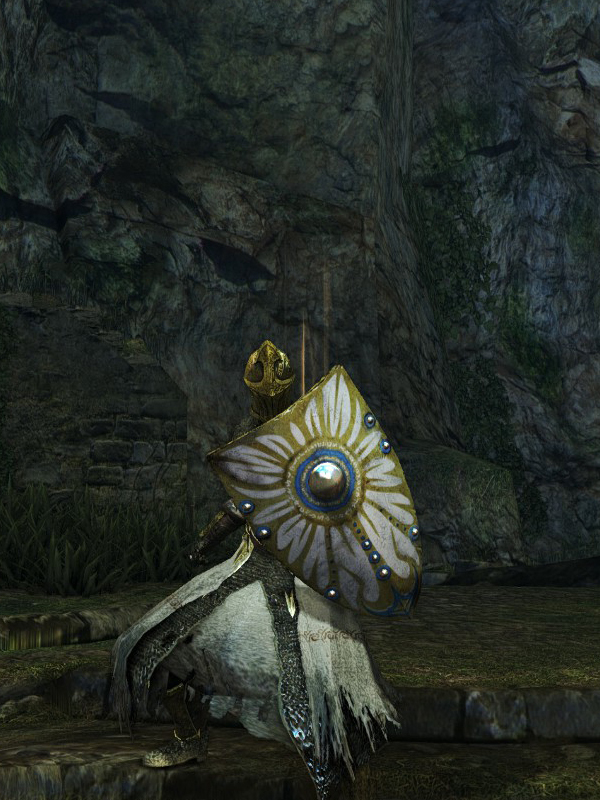 For players with low max HP (either from being cursed, equipping Dusk Crown Ring, have low vitality, or any combination of it), this shield's HP regeneration can be used to combat the effect of Power Within or even negate it (if max HP is below 300). Like all stat requirements, if the Faith requirement is not met, the shield will have drastically reduced Stability (although it is not shown in the stat menu) and no Deflection. A +10 Sanctus will take approximately 2x the amount of stamina damage than it normally would if the Faith requirement is not met. Although this does not affect its HP regeneration ability nor its parrying ability. Sanctus durability reduced to 41. Base damage increased. Cannot repair weapon (except through reinforcement).